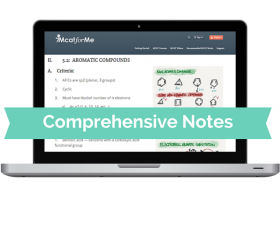 In this Free MCAT Video, students will learn about Aromatic Compounds for the MCAT. These videos are part of our MCAT Question of the Day series. These MCAT videos should be used in conjunction with the other materials the Mcatforme provides and can be used to review the most important topics on the MCAT. This Free MCAT video highlights the most relevant topics on the Physics section of the MCAT.